To proactively address the expanding and evolving threats to the United States’ national security space leadership, The Aerospace Corporation (Aerospace) has selected space executive Marty Whelan to serve as SVP for the Defense Systems Group based in Arlington, Virginia — Whelan will assume leadership of a group that is working closely with the Department of Defense (DoD) and the intelligence community. Marty Whelan, The Aerospace Corporation's SVP for the Defense Systems Group. Whelan joins Aerospace from Northrop Grumman, where he served as director of Space Programs and as corporate lead executive in the Greater Los Angeles area, representing all company sectors and all business activities within those sectors. Whelan retired from the U.S. Air Force in 2016 as a Major General after 33 years of service. His last assignment was director of Future Operations and deputy chief of staff for Operations. During his time with the Air Force, Whelan also served as director of Space Operations, deputy director of Executive Agent for Space, and director of requirements at the headquarters of Air Force Space Command. As director of Future Operations for the Air Force, Whelan developed a comprehensive National Security Space Strategy, integrating the objectives and goals for the intelligence community and the DOD. He also led a strategic review of DOD and intelligence community space systems to develop a mission assurance framework for national security space systems, and drove an operational suitability review for satellite constellations, ground-based space systems and cyber systems. As part of his transition to Aerospace, Whelan has begun serving as VP, Special Studies. On December 1, 2018, he will assume the role of SVP, Defense Systems Group. The role’s current incumbent, Ed Bolton, will transition to SVP Special Studies until his retirement. Whelan earned a bachelor of science degree in aerospace engineering from Parks College of Saint Louis University, as well as an M.A. in acquisition and contract management from Webster University and an M.S. from the Industrial College of the Armed Forces at the National Defense University. Steve Isakowitz, Aerospace President and CEO, said that this is a time of great change in the space domain and Marty’s experience with national security space strategy across the DoD and the intelligence community makes him the perfect person for this role. 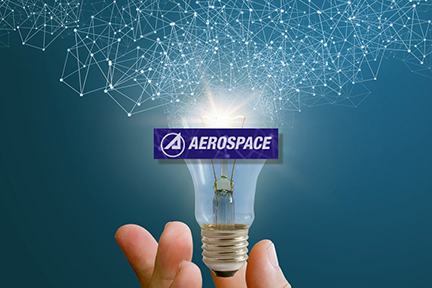 The Aerospace Company is placing a priority on addressing the threats to the nation's national security space leadership. Marty is a leader who can work at the enterprise level and apply strategic thinking, innovation, and Aerospace’s technical depth to solve the nation’s toughest problems.